The Israel Lobby and U.S. Foreign Policy is a book by John Mearsheimer, Professor of Political Science at the University of Chicago, and Stephen Walt, Professor of International Relations at the Kennedy School of Government at Harvard University, published in late August 2007. It was a New York Times Best Seller.The book describes the lobby as a "loose coalition of individuals and organizations who actively work to steer U.S. foreign policy in a pro-Israel direction". 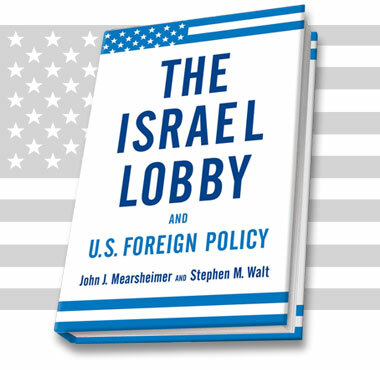 The book "focuses primarily on the lobby's influence on U.S. foreign policy and its negative effect on American interests".The authors also argue that "the lobby's impact has been unintentionally harmful to Israel as well".